and is surrounded by a band of well figured mahogany with a thumb moulded edge. 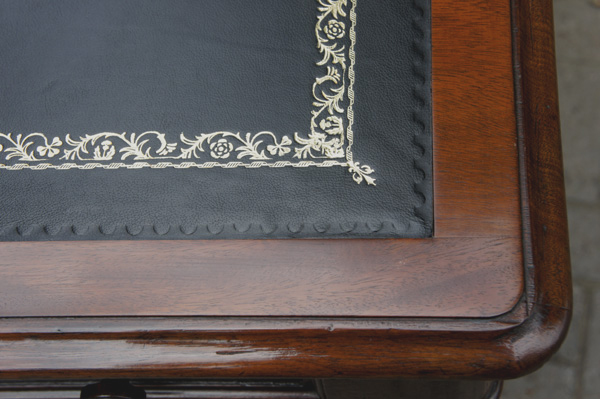 figured mahogany timbers and has recently been professionally restored. 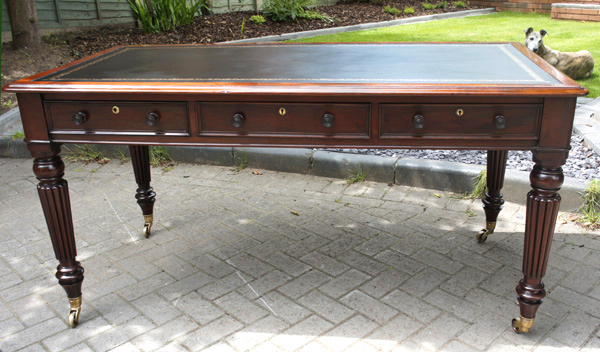 make this a very handsome and desirable library or writing table. 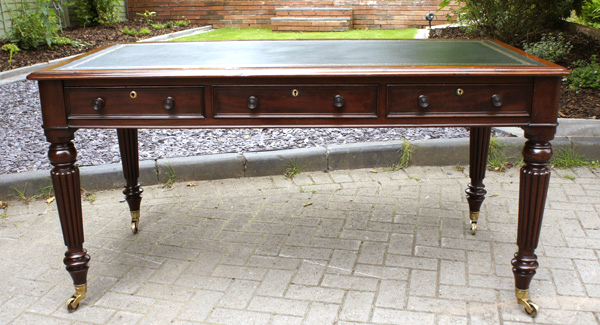 The frieze is fitted with 3 drawers to the front and corresponding panelling to the reverse. 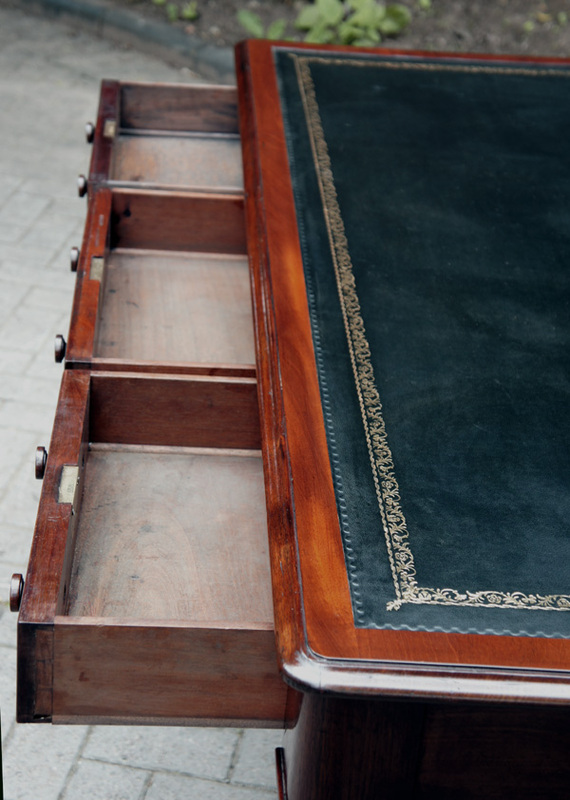 The drawers have hand cut dovetail joints, ogee molded fronts, brass locks with key and turned mahogany knobs. 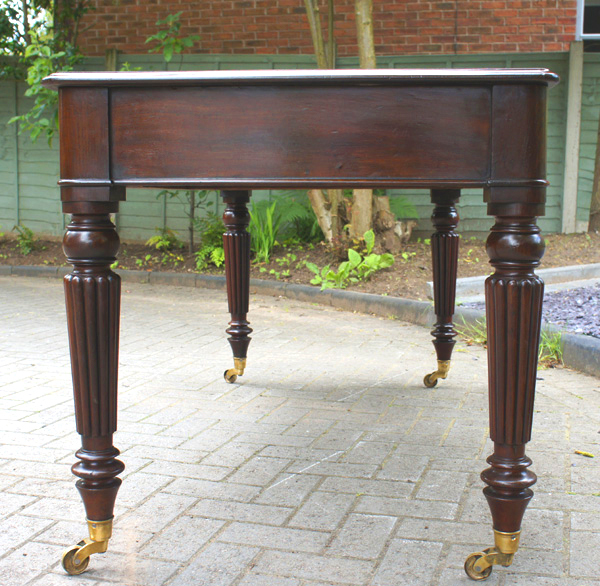 The table stands on 4 well turned legs with the original brass castors. and would make a lovely desk for any office or home study.